How soon can autonomous cars go mainstream? Velodyne's announcement of slashing its LiDAR prices by a major margin is just the first step towards seeing advanced driver assist systems becoming more affordable. 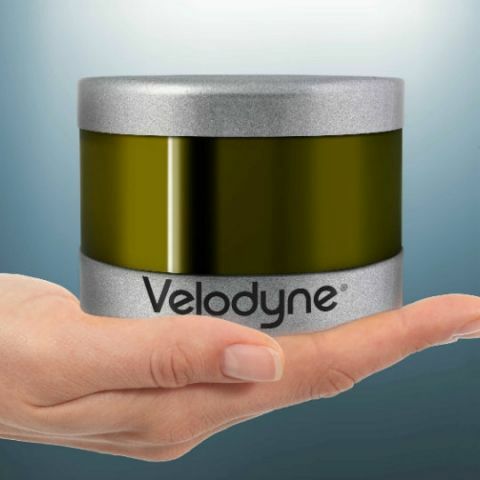 A couple of days ago, lidar champions Velodyne announced that it is slashing prices of its most popular lidar system, the VLP-16, by nearly 50 percent. The reason for this is the opening of its 'megafactory', which Velodyne had projected will be key to advanced and highly precise lidar systems becoming more affordable. The projection seems to have come true about now, making it one of the most important announcements in the field of autonomous mobility of late. The key to this announcement has been the company's new factory in San Jose, California, which it started operating from in 2017 itself. The VLP-16 lidar unit was unveiled back in 2016 at a price of $8,000. While that itself is a sizeable chunk of money, the VLP-16 is not even the most proficient lidar unit that Velodyne makes. The company's higher precision units (like the HDL-64) offer far higher accuracy but cost significantly more, and is hence not ideal for being implemented in consumer vehicles. Incidentally, Velodyne is now manufacturing these high precision units out of its San Jose facility, too. With the price being halved, the incident gives a positive overview of how the autonomous driving technology will evolve over time. Lidars are presently one of the most expensive components that a car is being equipped with, so naturally, slashing prices of the most expensive components will play key to giving car makers the leeway of introducing more expensive and sophisticated technologies to lesser priced cars. This, however, is only the start of a segment that is touted to one day become mainstream. Other key factors for future cars, like the electric batteries, still remain a cause of concern in terms of range, practical implementation and overall cost. Honda recently opened its in-house research team in the field of solid state batteries, for this very reason. Solid state batteries, unlike the Lithium ion ones being used right now, offer superior thermal management capabilities and much higher range between recharges. However, the technology costs too much right now to be implemented in electric cars en masse. Even Toyota and BMW are pursuing this avenue, which may hold key to electric and electrified cars gaining the mainstream upper hand against combustion engine vehicles. That day, though, still remains far away. It is still quite some time into the future for autonomous cars to go mainstream. But, with technologies like lidar and high density batteries slowly becoming more affordable, it is a positive step in the path towards autonomy for cars. While the first cars to house ADAS and autonomous abilities will still be the flagship ones, we may just have moved a few months closer to affordable semi-autonomous cars, with Velodyne slashing its prices. Good work, folks. Can I go for DCLR?? Can I go for Sony Xperia Z? Should I go for Coolpad Cool1?